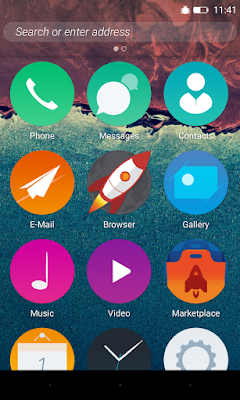 Brutta notizia dal mondo Mozilla che ha quest'oggi annunciato quella che potrebbe essere la fine del progetto Firefox OS per il settore smartphone: Mozilla smetterà di sviluppare e vendere smartphone con Firefox OS attraverso i carrier telefonici! L'annuncio è stato fatto questa mattina durate il Mozlando, un evento dedicato agli sviluppatori Mozilla che si sta svolgendo ad Orlando ed è subito stato ripreso su Twitter da parte dei presenti. Come potete leggere Mozilla ammette che Firefox non è stato in grado di offrire la migliore esperienza utente possibile in ambito smartphone e dunque smetteranno di offrire smartphone attraverso i vari carrier telefonici. We will prototype this future starting right now using technologies developed as part of the Firefox OS project to give us a kick start. We will make space for this exploration by stopping our work to build and ship smartphones through carrier partners. We will explore and prototype new use cases in the world of connected devices as an open source project with a clear focus on the user benefit and experience. We will focus on products and technologies that allow people to access and manage their world of connected devices, helping to ensure people are empowered, safe and independent. We are excited about the challenges and opportunities ahead of us. We believe that the Web can be the right platform for this future of connected devices and we can’t wait to share more with everyone soon.